Mix a little bit of unicorn with a piece of mermaid and there you have Mermicorno! 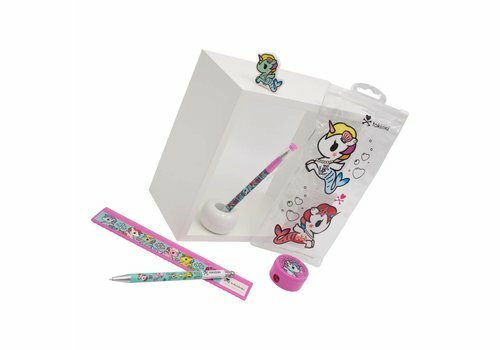 The character you will also find on this fun and handy stationery set from Tokidoki. Kawaii! Contains: eraser, pencil sharpener, pen, pencil and ruler.